LAS VEGAS — Switch (NYSE: SWCH), the global technology solutions corporation that is powering the future of the connected world®, today announced that Munters has elected to participate in Switch’s utility patent licensing program. Switch’s licensing program extends the benefits of its patented Exterior Wall Penetrating Multi-Mode HVAC units known in the industry as the Switch TSC. 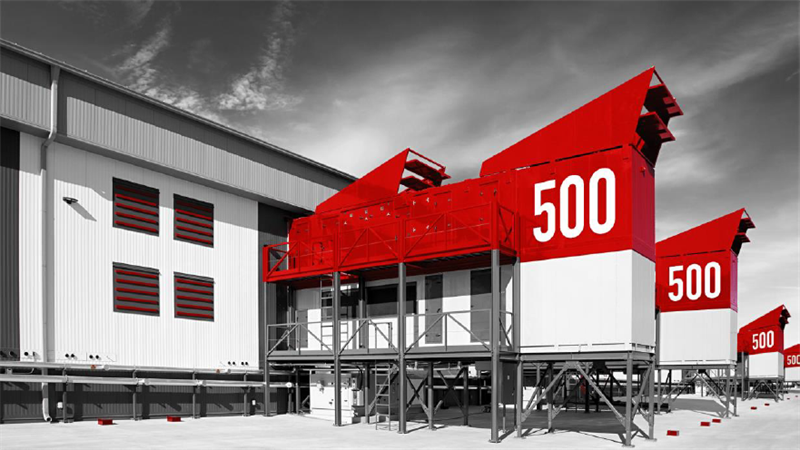 Munters, a global leader in energy efficient air treatment and climate solutions, has been one of Switch’s leading global suppliers of the patented TSC 500, part of the Switch MOD® facility designs. Munters versatile and rapid response to Switch’s requests has set them apart from others. Both parties view the license agreement as an opportunity to explore future strategic customer/vendor opportunities. Rob Roy founder and CEO, began inventing Switch’s technologies in 2006. Switch has obtained regular patent allowances from the United States Patent and Trademark Office for Rob Roy’s innovative designs. The license with Munters covers issued patent claims for Switch’s Exterior Wall Penetrating Multi-Mode HVAC technology as well as Switch’s Multi-Cabinet Hot Aisle Containment Chimney Pods and trade secrets related to the same. “Munters has been a great partner and is well positioned to be a leader in deploying Switch’s sustainable solutions to meet the massive growth of the internet of everything,” said Switch founder and CEO Rob Roy. Historically, licensing of Switch’s patents has been reserved exclusively for its customers until Switch began its broader patent licensing program in 2016. Since then, Switch has begun licensing its technology to others, including Schneider Electric and to Berkshire Hathaway’s electric utility, NV Energy. Switch (NYSE: SWCH), the technology infrastructure corporation headquartered in Las Vegas, Nevada is built on the intelligent and sustainable growth of the internet. Switch founder and CEO Rob Roy has developed more than 400 issued and pending patent claims covering data center designs that have manifested into the company’s world-renowned data centers and technology solution ecosystems. Visit switch.com for more information. Munters is a global leader in energy efficient air treatment and climate solutions. Using innovative technologies, Munters creates the perfect climate for customers in a wide range of industries, the largest being the food, pharmaceutical and data center sectors. Munters has been defining the future of air treatment since 1955. Today, around 3,800 employees carry out manufacturing and sales in more than 30 countries. Munters reports annual net sales in the region of SEK 7 billion and is listed on Nasdaq Stockholm. For more information, please visit munters.com.